Ron and Maggie Tear Photography: Alert cubs. We found these 2 cubs on Busanga plains, their mother had left them. 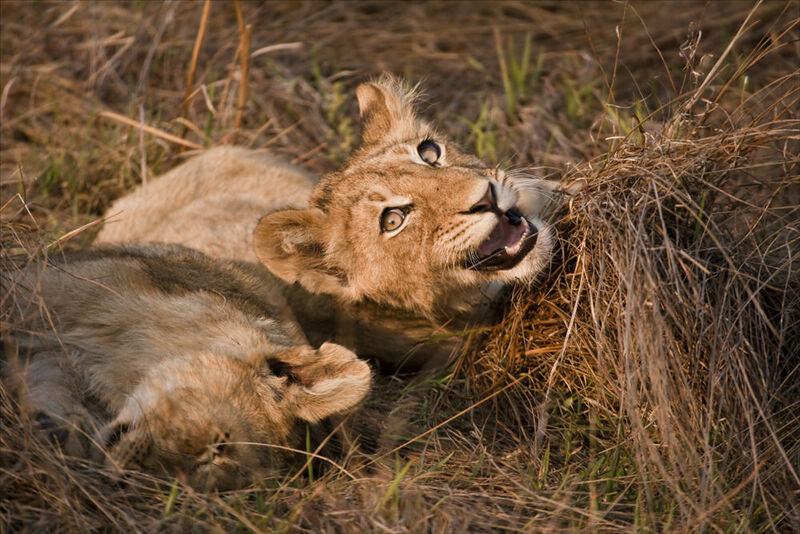 She was a first year Lioness and the cubs looked undernourished. Next day they had vanished. Statistics state that very few cubs reach maturity.